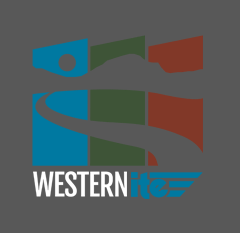 The University of Wyoming ITE Student Chapter continued to maintain its strides as a vibrant student body even as several active students graduated and new members were recruited to join the ranks. The UW ITE Chapter allows for an opportunity to interact with professionals, learn about the innovative transportation solutions and local transportation problems and have fun partaking in other programs that are of interest to them. The members interact with guest speakers at the bimonthly meetings and have opportunities to become associated with the Colorado/Wyoming section of ITE. The Chapter has also carried out fund generating activities such as a traffic count study at Buffalo, Wyoming and conduct traffic data collection for consulting engineering firms. They have also come up with an idea of a transportation based race competition to help raise funds to continue taking part in the sections activities. The chapter also partakes actively in community services work. They work along with the Albany County Transportation Authority to help improve the transportation systems in their local area. They conducted bus ridership surveys for the Gem City Bus Service in the city of Laramie, Wyoming. They also, try to help with making the city of Laramie bike friendly. The group has always managed to send representatives to the Colorado/Wyoming annual ITE meetings. 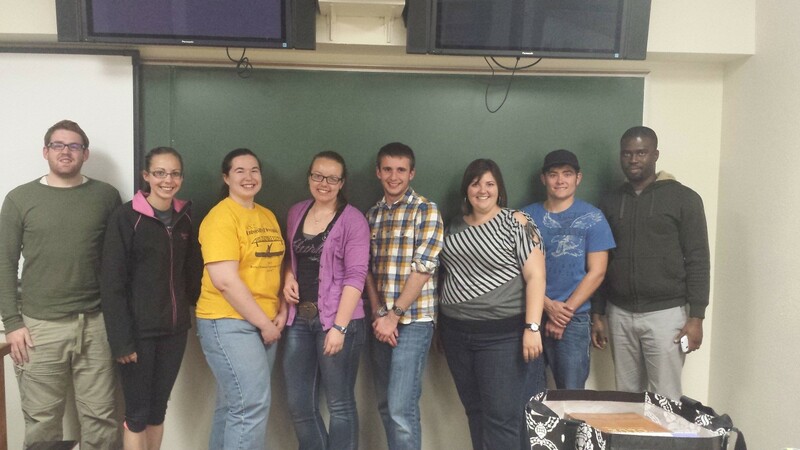 Along with these meetings, the UW chapter sends students to the ITE Western District conference held each year. 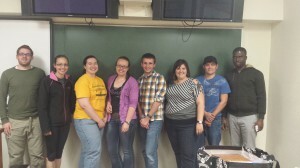 They sent seven students to the conference held in Phoenix, Arizona in 2013 and are sending four members to the conference this year held in Rapid City, South Dakota. The members take part in all of the activities offered at the conferences, including the MITEy Race, Kell Competition and Traffic Bowl. They are hoping to come up with an innovative game for the Kell Competition to have all of the students interacting and thinking critically. They have also taken field trips to see innovative intersections, such as, the continuous flow intersection in Loveland, Colorado. The University of Wyoming ITE Student Chapter would like to keep promoting the interaction of students and professionals. They plan on staying involved in the transportation community and wish to keep actively participating in the opportunities ITE provides.